As a current student at UNT, there is a wide variety of resources at your disposal. From student organizations and student affairs to academic resources, counseling and tutoring, we strive to ensure our students have the tools needed to succeed. If you are an graduate student and need to change your degree/major, you can contact the graduate advisor by emailing Dr. Tae-Youl Choi. As a graduate student, there are a multitude of tools to aid in your academic graduate journey. As you move through your career, you will repeatedly utilize the resources found here. 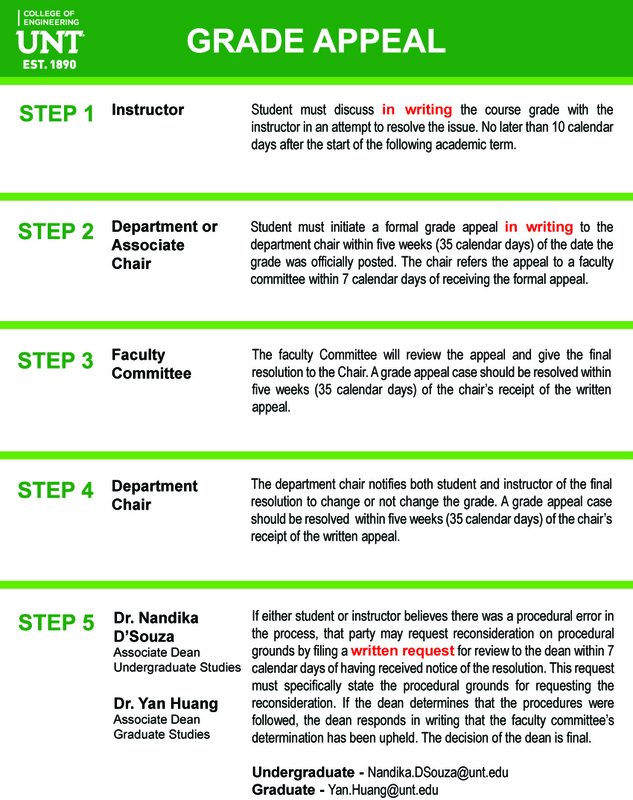 Graduate students have several opportunities for advising while attending UNT. Understanding the academic organizational structure and appropriate Chain of Command is important when resolving class-related issues. When you need problems resolved, you must start with your individual faculty member who will then help you navigate the Chain of Command shown below.